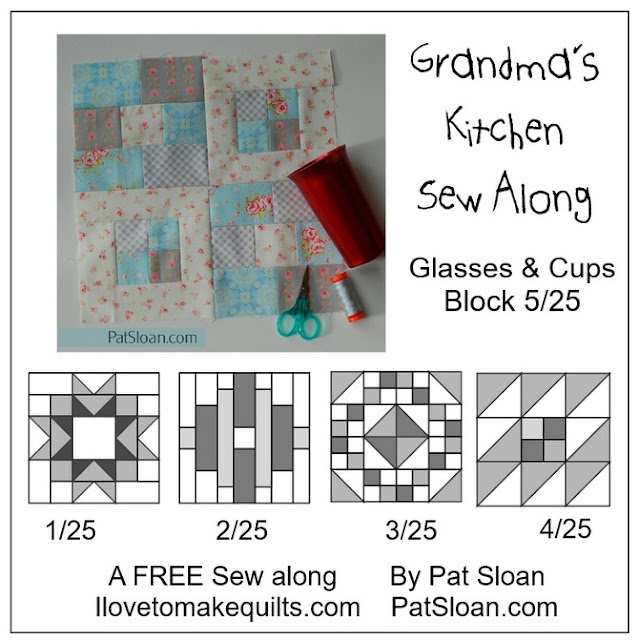 While we were in Europe, I missed 3 blocks in Pat Sloan's weekly mystery quilt, Grandma's Kitchen. I was in the Netherlands when block #5 was announced. 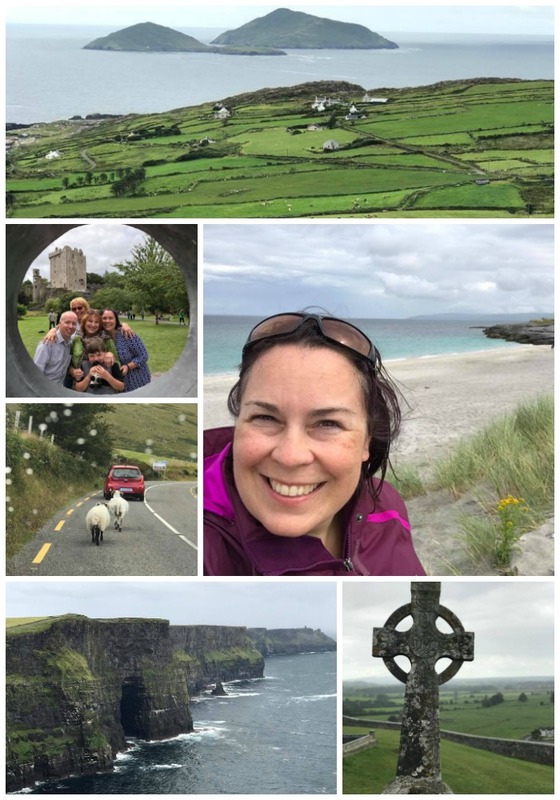 It was two days before we left for Ireland. 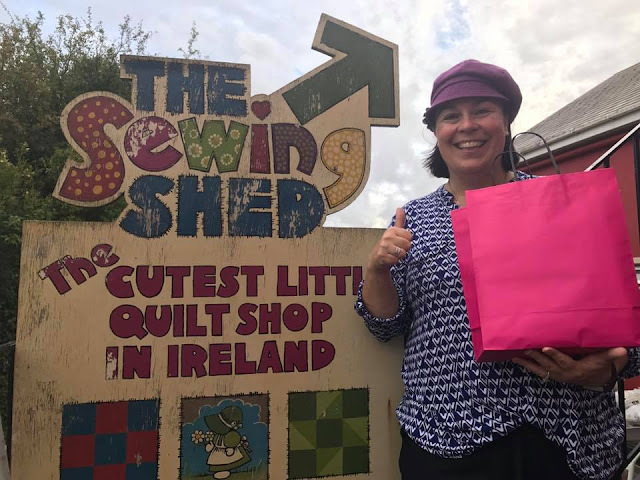 My mom and aunt came with us this trip, and our side trip to Ireland crossed off the #1 item on Mom's bucket list. She has wanted to go for as long as I can remember, at least back to the 80s, when my gramma took a trip to see the land of her great-grandparents. And in case you are wondering, Ireland is even more stunning than I expected. The name of this week's block is glasses & cups, inspired by her grandmas' aluminum and collectable drinkware. 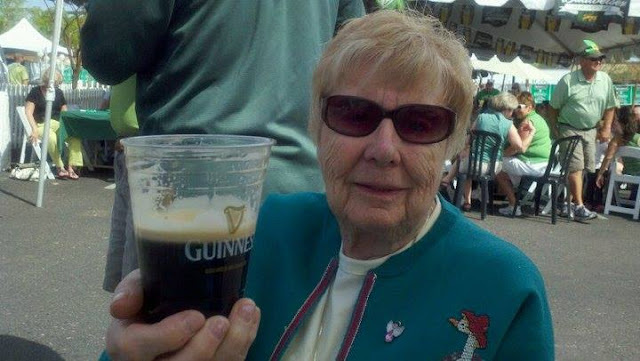 When I think of Gramma Ann, I think of her drinking Bailey's Irish creme, so my theme fits with Pat's inspiration. One Christmas, I remember that someone bought Gramma a bottle of Bailey's. We have the tradition of opening one gift at a time so we can see what each person received. As the gifts were opened that Christmas, many surreptitious sips were snuck, and by the time the extended family finished opening gifts, Gramma's bottle was empty! 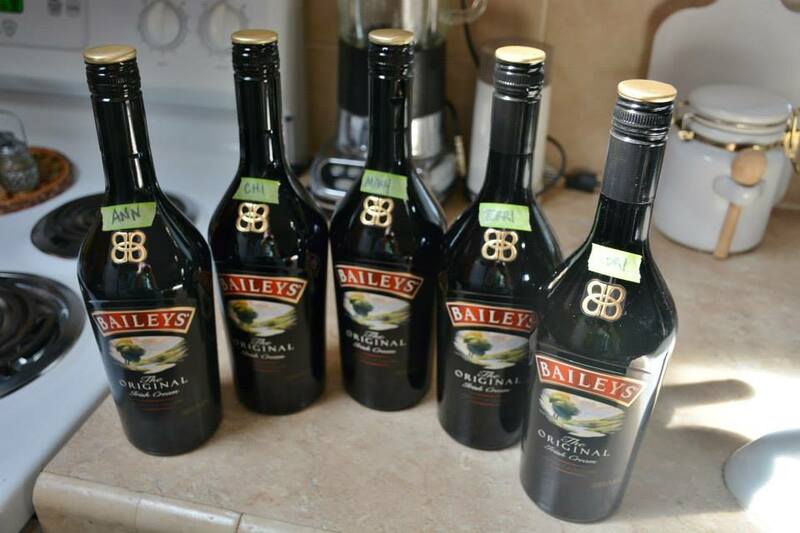 When Gramma passed away, Niels and I bought a bottle of Bailey's for each of her daughters. Rather than use brown and creme for my Bailey's themed block, I opted for Irish greens instead. I started with some leftover pieces from the quilt I made for the memory quilt I made Gramma shortly before she passed. Here's my sweet boy under Gramma's Irish chain memory quilt while the adults were planning Gramma's memorial. For my light fabric, I used a green shirt that was gifted to me when Gramma died. I'm trying to use fabric from her clothes where I can. For the dark green, I used a shimmery green and gold print I bought at the cutest quilt shop in Ireland. My blocks now takes two doors! Going to Ireland is on my bucket list as well. Looks like you had a great trip! Thanks for linking up to Wednesday Wait Loss! 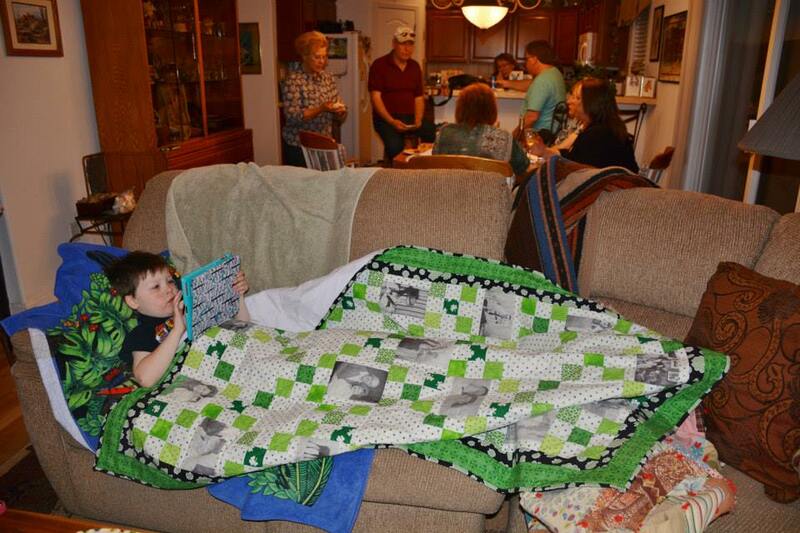 Love the fabrics you chose on this quilt!